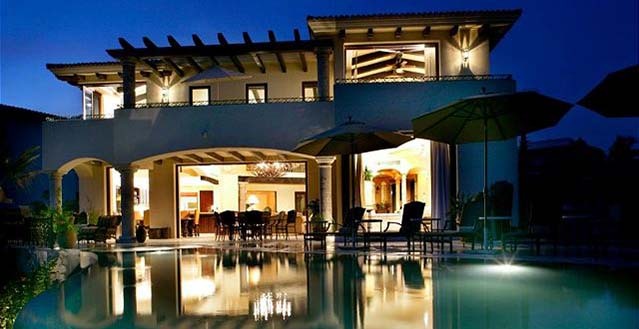 Casa Miramar is a luxury haven that offers the best in resort living in one of Los Cabos' premier neighborhoods, Cabo del Sol. 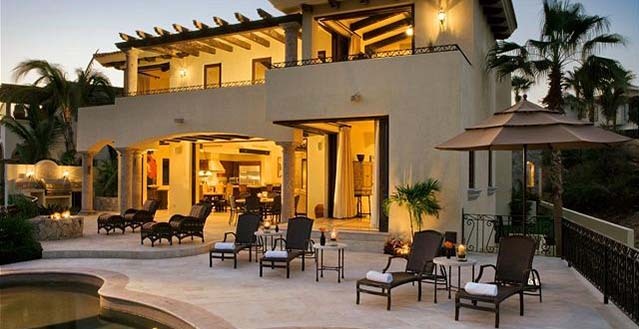 This custom designed 6,100 sq ft residence expands to more than 8,000 sq ft with its outdoor kitchen and four beautiful terraces. 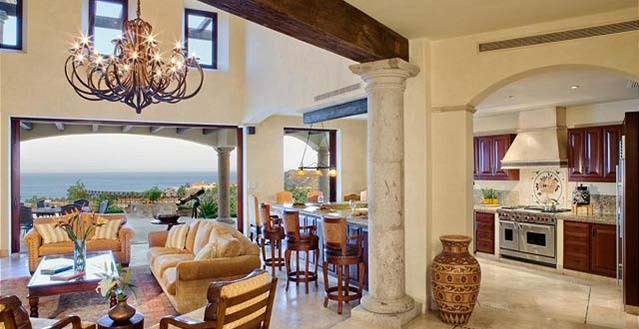 Casa Miramar overlooks the Sea of Cortez and the grounds of two famous Jack Nicklaus-designed golf courses, the Ocean and Desert courses. 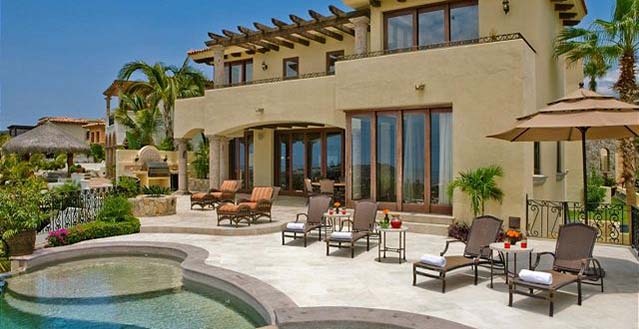 Casa Miramar comfortably sleeps eight with ample room for entertaining and hosting large groups and families. 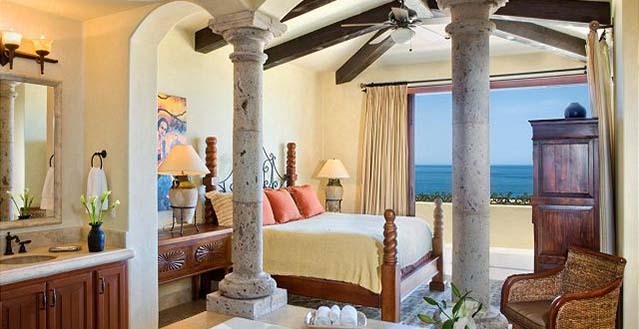 Three master bedrooms feature private balconies with vast ocean vistas. 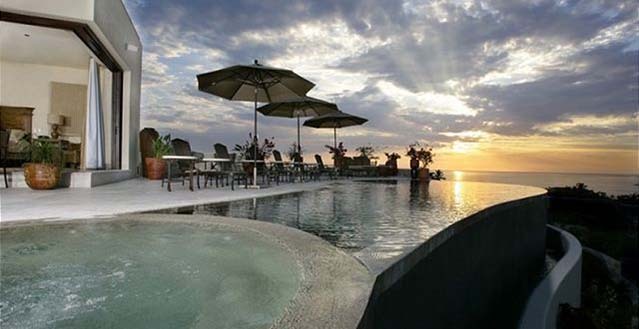 A heated infinity pool seamlessly blends into the ocean, as viewed from your gourmet kitchen or the great room boasting 25-foot ceilings. 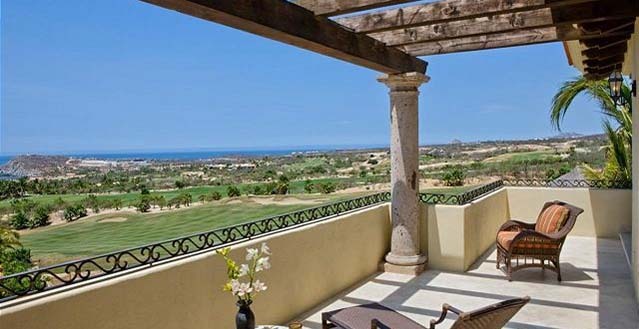 Take in the ocean views from your magnificent outdoor terraces, complete with a fire pit and a sitting area for stargazing. 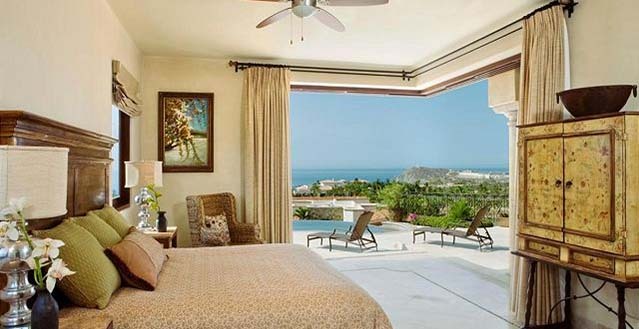 Amenities of Casa Miramar, Colinas #20, Cabo del Sol: 4 bedrooms, 4.5 bathrooms, 6,100 square foot villa, sleeps 8 - Master Suite, King Bed - 2nd Master Suite, King Bed - 3rd Master Suite, King Bed - 4th Bedroom, Two Twin Beds - Access to the Sheraton Hacienda del Mar. 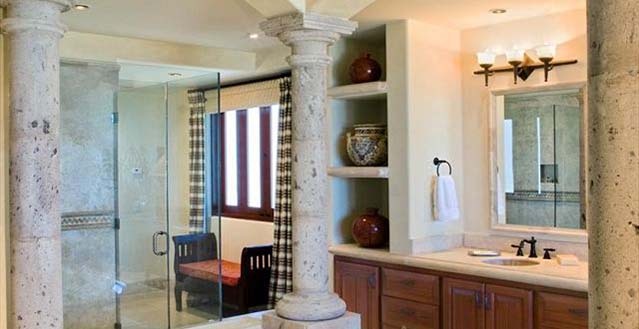 The following services and amenities are included in your vacation rental: Housekeeping Provided Monday-Saturday (with the exception of Mexican holidays) - Pre-arrival Planning - 24 hour Concierge Services - Teva Bathroom Amenities - Cleaning and Laundry Supplies - Beach Towels - Non-smoking. 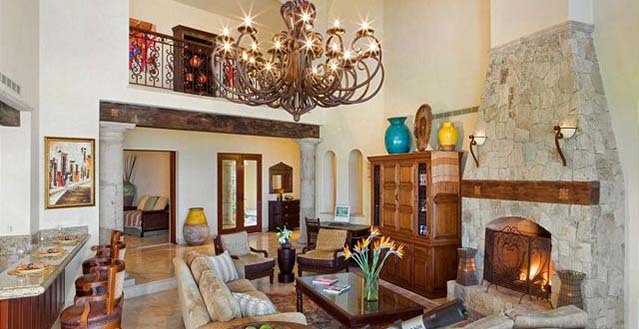 For an additional charge the following services and amenities can be added or arranged: Pack n Play and High Chair Available - Grocery pre-stock - In Residence Spa Services - Private Chef Services - Private Transportation -Babysitting.